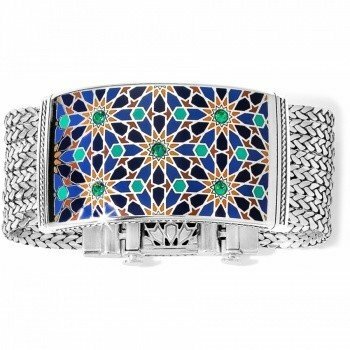 Intricate hand-enameling and Swarovski crystals adorn this elegant bracelet in a pattern inspired by Arabesque tilework. 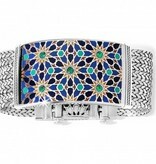 Includes a closure often used in fine jewelry, for ease of wear, as well as a removable link. Length: 7 1/4" - 8 1/4"